Our focus on service is a winning formula for our customers and is backed by our recent win of the Paint & Panel Best customer experience award for 2018. With over 70% of vehicle manufacturers now using water solutions, adopting water technology was the next logical step for us to ensure a factory finish. Spray painting has changed significantly in recent years with the quality of materials, different technologies, and processes evolving. We use PPG waterborne paint, which significantly reduces the Volatile Organic Compounds or VOC’s used in solvent paint systems. This also creates a better air quality and environment for our staff. PPG advanced automotive systems are the global leader in automotive coatings with 80% of vehicle manufacturers choosing to use PPG. We have the latest in computerised colour matching technology to ensure the closest possible colour match. All work is carried out in fully compliant full downdraft temperature controlled spray booth. We have recently expanded our refinish area with large full downdraft enclosed preparation areas to allow us to paint larger commercial vehicles, campervans, trucks and bus’s. Our technicians can complete a range of panel beating services from small smash repairs, fleet management, rust repairs, full restoration, custom metal fabrication and 4wd chassis alignment . We have the facility’s to carry out repairs for larger commercial vehicles, trucks, bus’s, caravans and motorhomes. We can do work privately or assist you to claim through your insurance if required. All repairs are completed by fully qualified technicians using the latest in OEM approved equipment and welders. We have recently installed the car-o-liner mark 6 bench with the latest in vision2 computerised software which utilises car-o-data the worlds leading vehicle measuring database. When it comes to collision repair and diagnostics Car-o-liner is the world leader.This combination of computerised measuring systems and Mark 6 bench gives us a powerful, accurate measuring system resulting in the most accurate repair possible. Paintless Dent Repair (PDR), also known as paint less dent removal, describes a method of removing minor dents from the body of a motor vehicle. A wide range of damage can be repaired using PDR as long as the paint surface is intact. PDR may be used on both aluminium and steel panels. Limiting factors for a successful repair using PDR include the flexibility of the paint (most of today’s refined automotive paint finishes allow for successful PDR) and the extent to which the metal has been stretched by the damage, which depends on the thickness of the metal, the curvature or flatness where the damage occurred and the intensity of the impact. Generally speaking, the shallower the dent, the greater the likelihood of paint less dent repair being a suitable option. Even dents several inches in diameter can be repaired by this method as long as the metal and paint are not stretched. Most experienced technicians can repair a shallow large dent or crease to an acceptable level, but very sharp dents and creases may not be suitable for PDR. For all your towing needs whether you have had an accident yourself or have seen an accident or just require the general services of a tow truck. 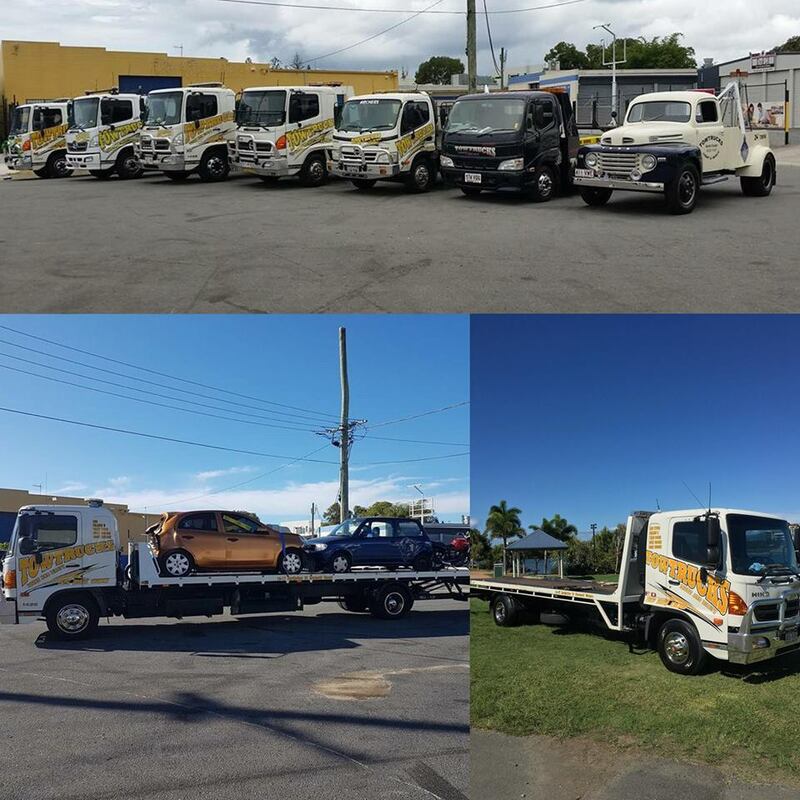 We use and recommend Gold Coast Tow Trucks Light and Heavy. For all general towing enquiries call 5591 1000 or for accident towing 5526 1000. Like most things today technology affects the way we communicate within the motor vehicle repair industry. Each insurance company will have their own estimating program. These programs are designed to send and retrieve information regarding your insurance claim. By utilising these programs, we can ensure claims are assessed as quickly as possible with minimal time delays. We understand the difficulty in being without your car while it is being repaired. We have 6 late model small automatic vehicles available for use. These vehicles are subject to availability and can be booked quite in advance. You will be required to sign a vehicle loan agreement on loan of the vehicle. If you are not at fault in an accident and the at fault party is insured we can organise you a replacement like for like car.